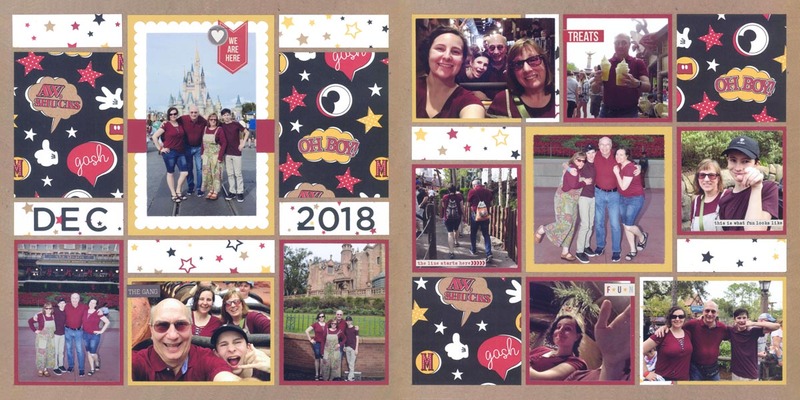 If you have never put together a Mosaic Moments® Page Kit, you are missing out on a fun, quick and easy way to create beautiful layouts on the Grid. 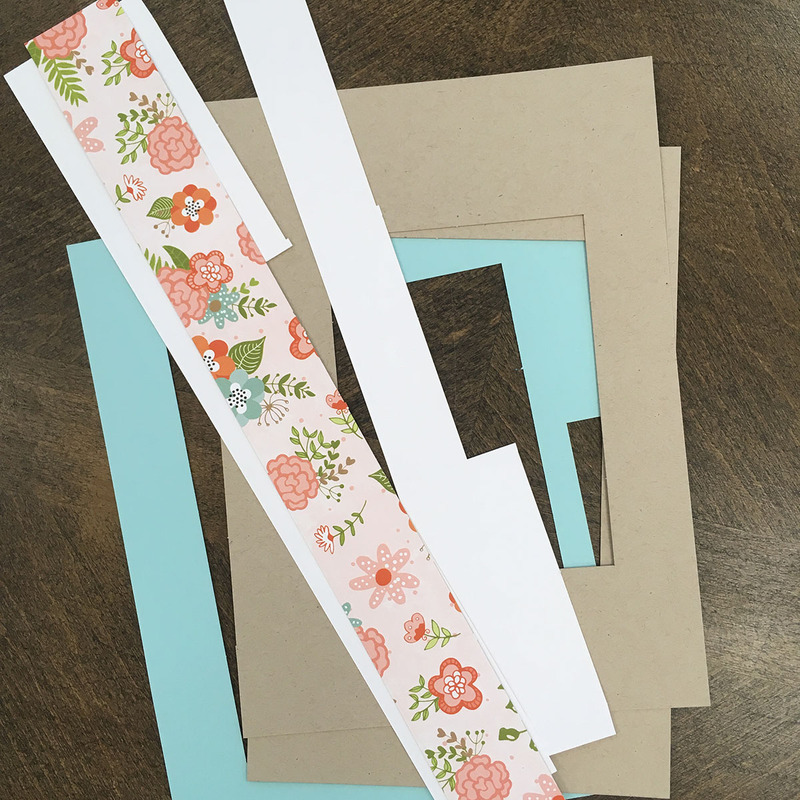 Everything you need is included – a picture of the design, Grid Paper, pre-cut, high-quality cardstock and patterned paper, and sometimes even ribbon, die cuts or other elements. 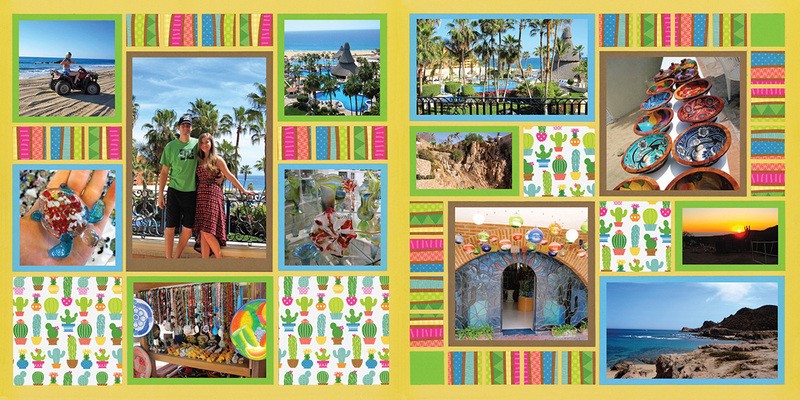 All you need are your photos, adhesive and a way to trim the pictures and you’re good to go. 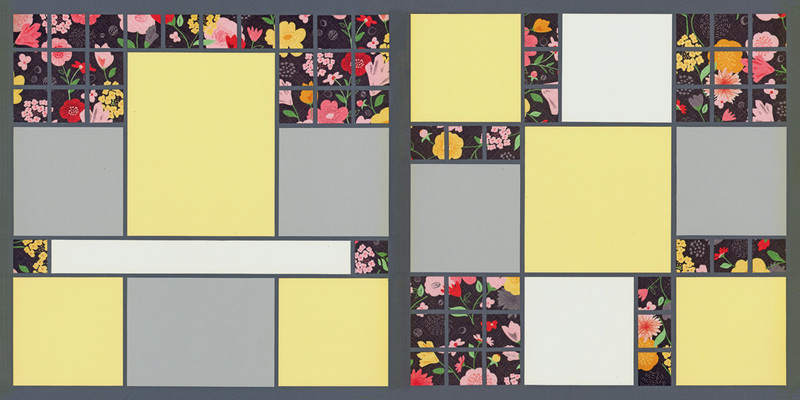 *Note that most of these layouts are older and no longer available. But these tips still apply to all page kits. 1. Create a Layout in Minutes! Create a two page spread in only minutes! You can put it together in 10 minutes. 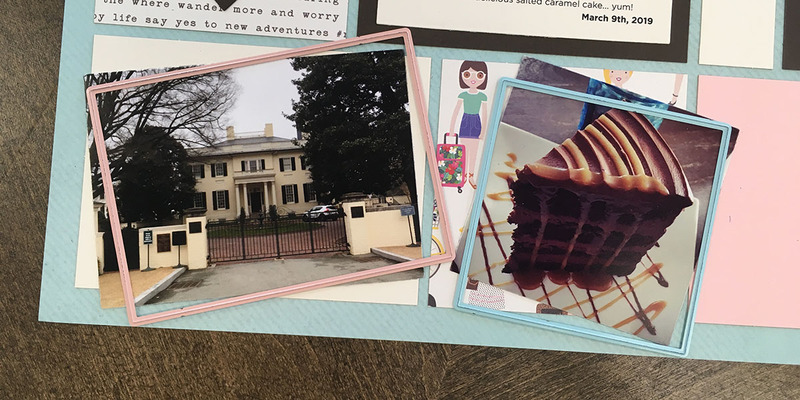 OK, maybe a little longer if you are cutting your photos by hand or adding several paragraphs of journaling, but it’s still the quickest way to complete a layout. 2. Kits Feature Your Favorite Brands! 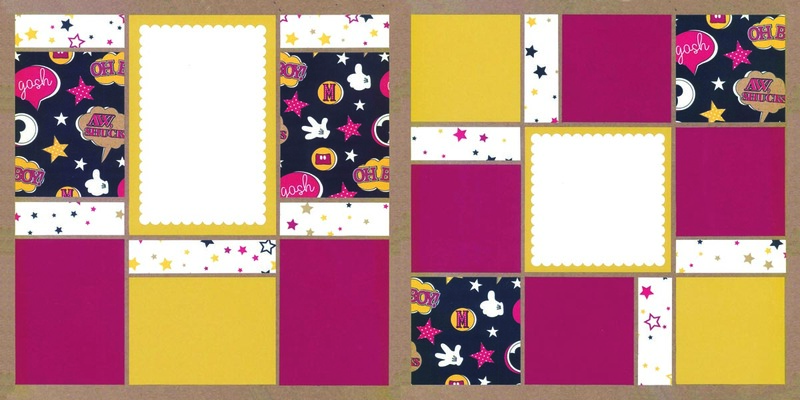 Kits come with adorable, elegant or beautiful patterned papers from the latest releases from companies like Doodle Bug™, Echo Park™, Bo Bunny™ and your other favorite paper brands. Many of the papers are double-sided, giving you even more to work with. 3. You Can Make It Yours! 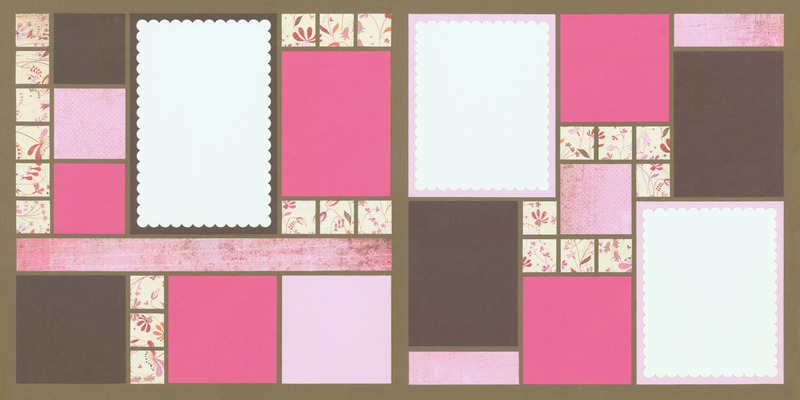 You can easily add journaling, titles, die cuts, stickers, ribbon, buttons and other elements to make the page uniquely yours. Packing for a crop is super simple... just grab a handful of kits, adhesive, your photos, and something to cut them with. You can spend your time at the crop socializing while still completing beautiful pages, since you don’t have to concentrate as hard! 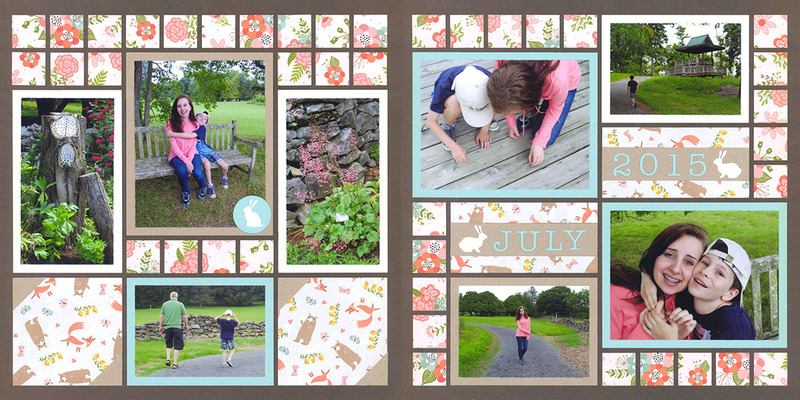 Because the kits are done on Grid Paper, you can modify the photo spaces by adding larger photos over multiple spaces, turn photo spaces into journaling blocks, add additional photo mats or even cut larger squares into smaller squares. Some layouts can even be turned sideways so you have horizontal photos instead of vertical photos. It’s all up to you. 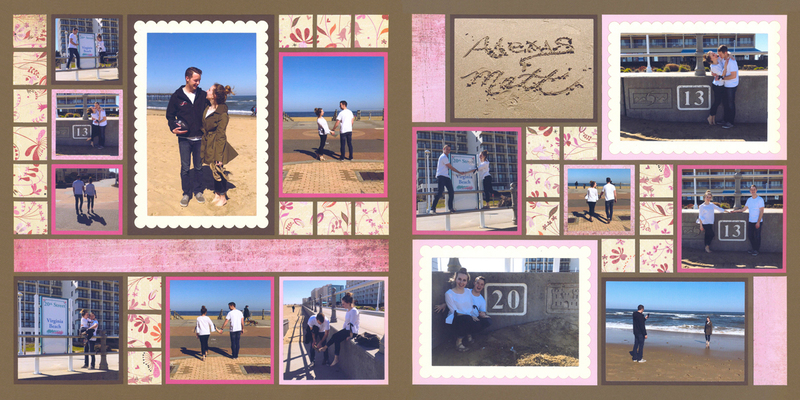 You can use the Mosaic Moments® Cutting Mat or dies to cut your photos. 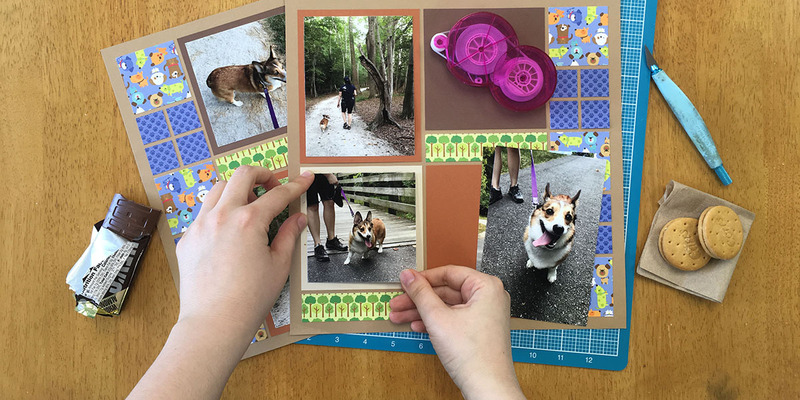 Use the Basic Nesting Dies to cut your photo smaller than the square to make a cutting mat. Or, use the Layering Dies to make a thinner photo mat. 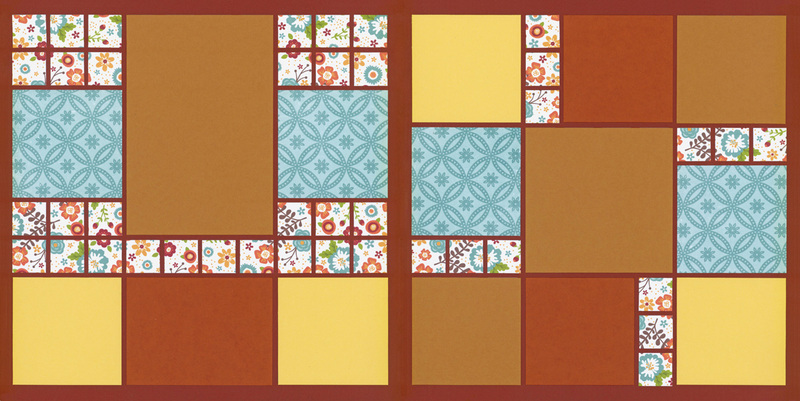 You can even add extra cardstock and combine the sets of dies to create multiple mats. 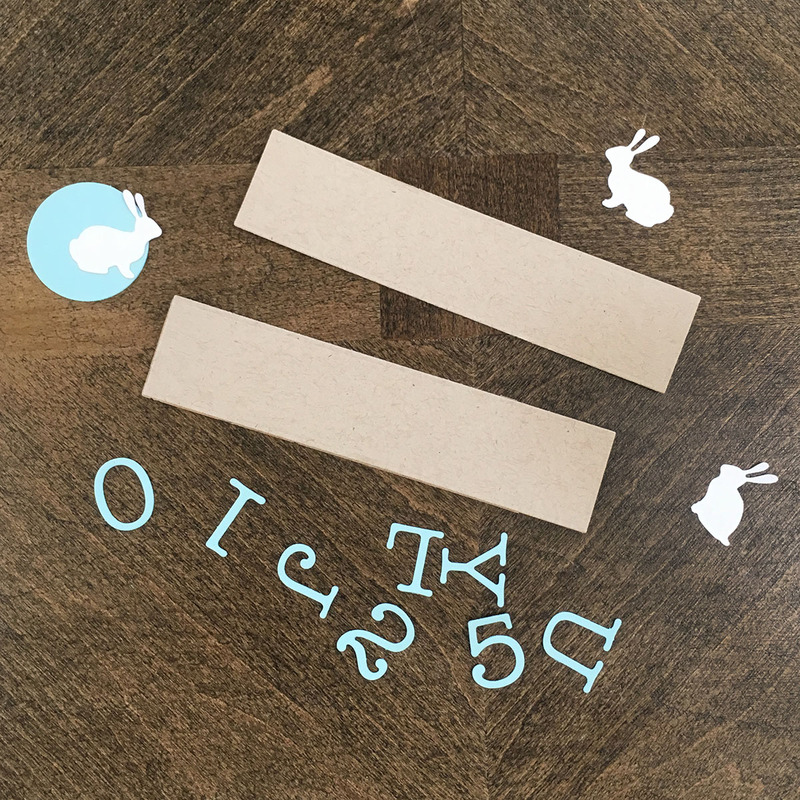 Because of the way the elements for the kits are cut, you often have leftover pieces of paper that can be used as accents or to cut out titles. Page Kits are all limited editions. Once the original amount is sold out, it’s gone forever. So, the chances of you doing the same layout as your friends is pretty small – unless you planned it that way! 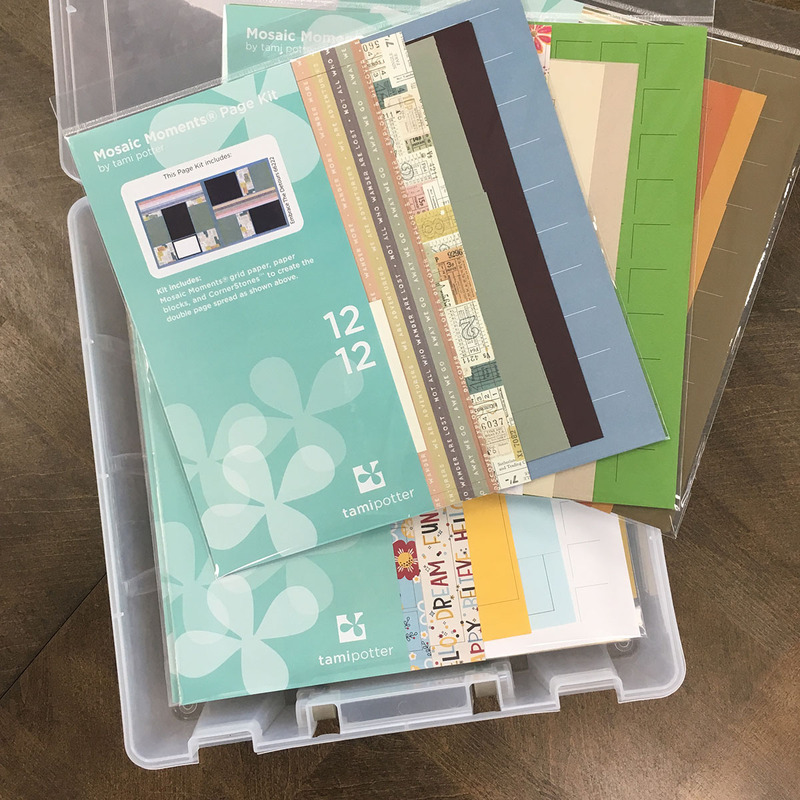 If you have never used Mosaic Moments® before, a page kit is a great way to try the system. 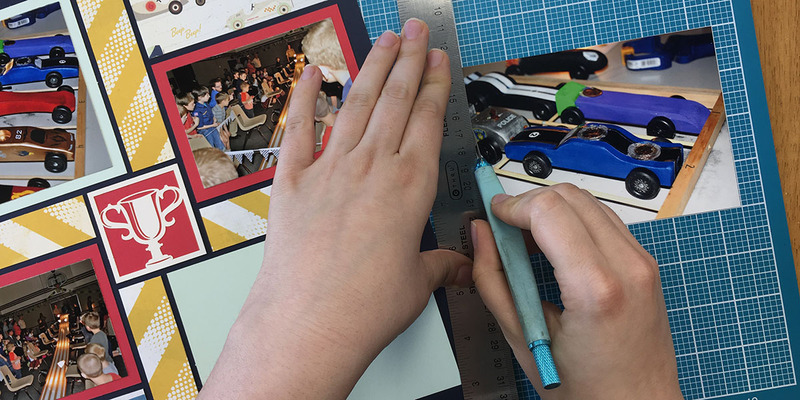 You can use a mat, knife, and ruler to cut your photos to size. It may not be as easy as it is with the dies, but you can make it work.